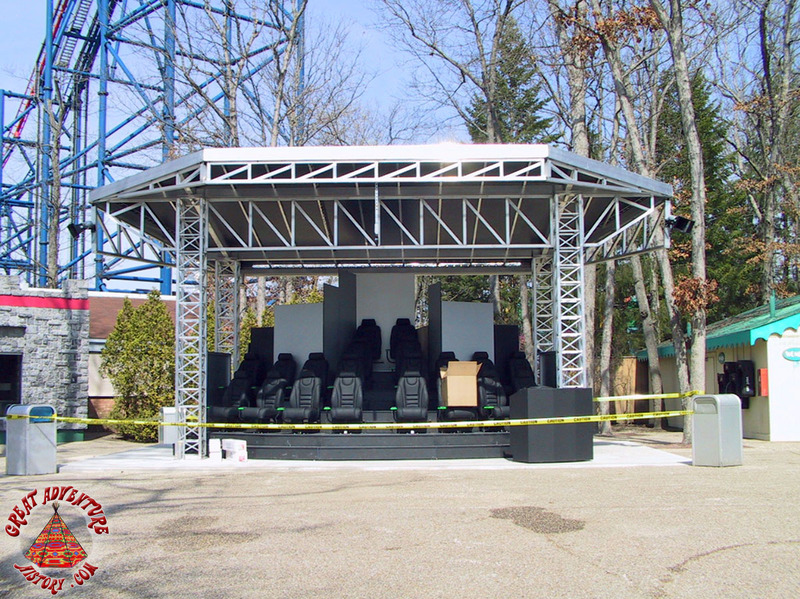 Virtual Reality became a big buzzword around the beginning of the new millennium, and many theme parks looked to incorporate the new technology into their entertainment lineup. 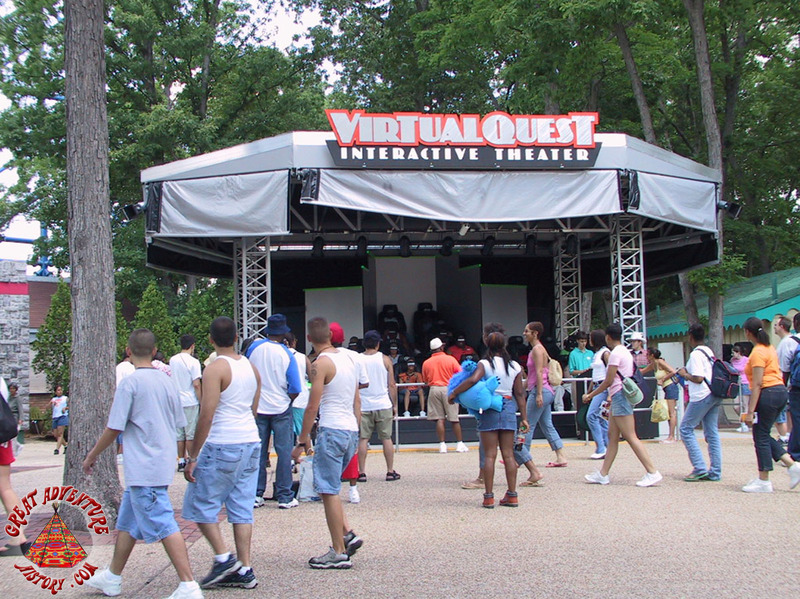 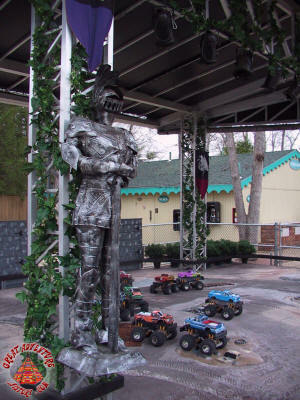 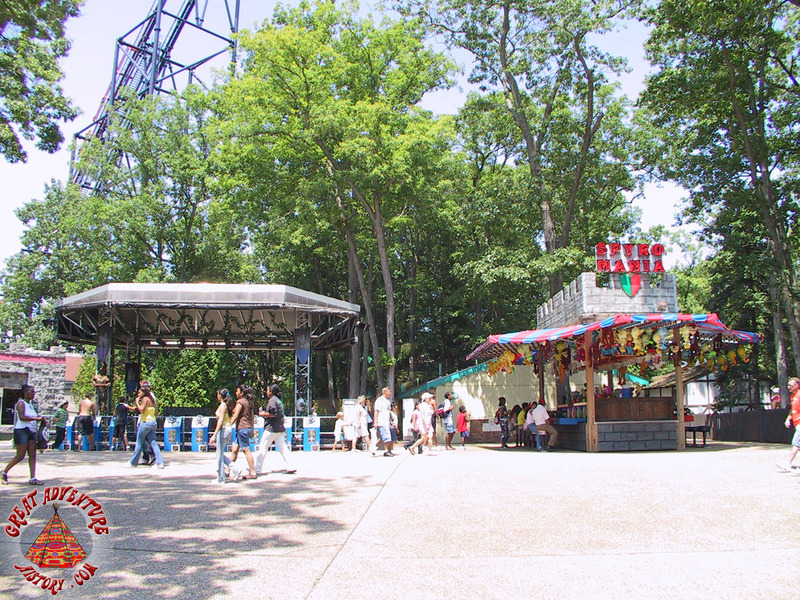 Constructed on an unoccupied plot of land near the Big Wheel, the Virtual Quest Interactive Theater was introduced at Six Flags Great Adventure in 2002, offering guests a chance to experience virtual reality. 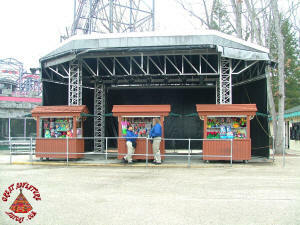 The open-sided theater structure was small with only twenty tiered seats which were all visible to guests passing by the venue. 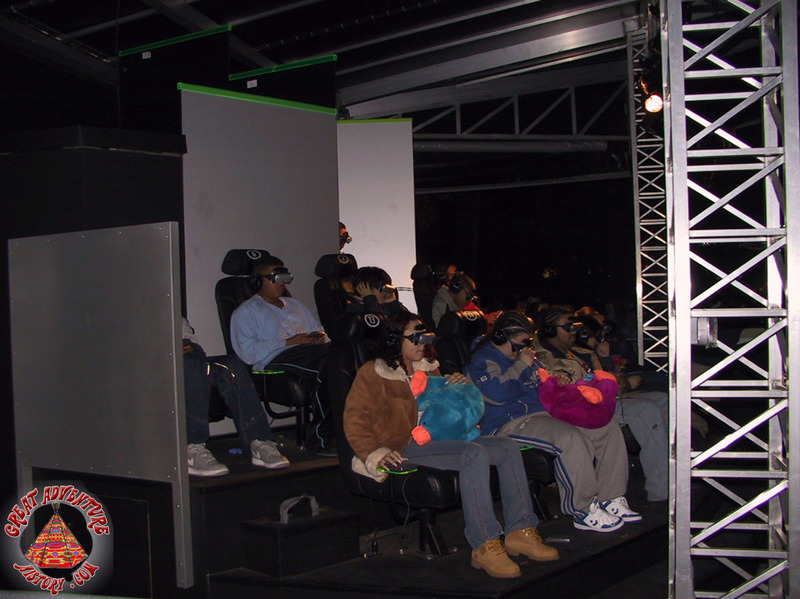 Guests donned goggles and made use of several electronic devices such as a joystick to interact with the immersive experience. 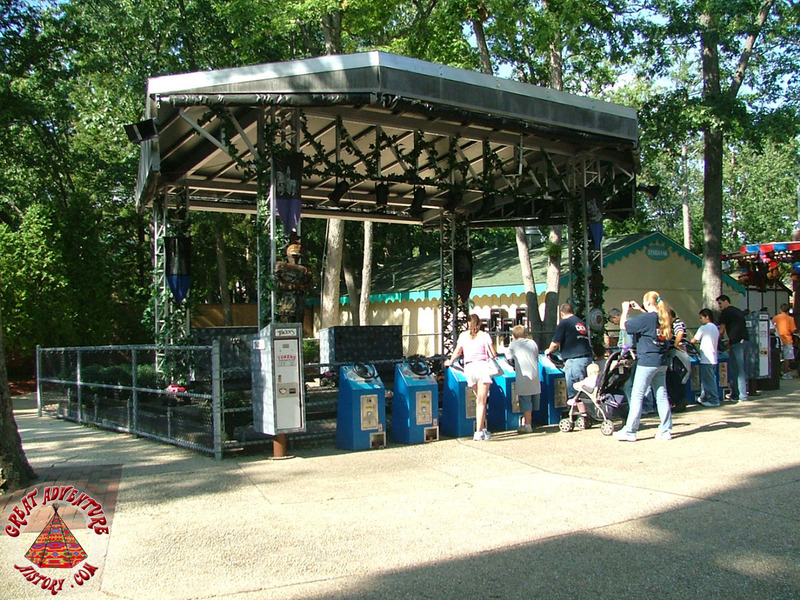 The participant's reactions to the VR effects were a show in itself for onlookers as well as a great advertisement for the attraction. 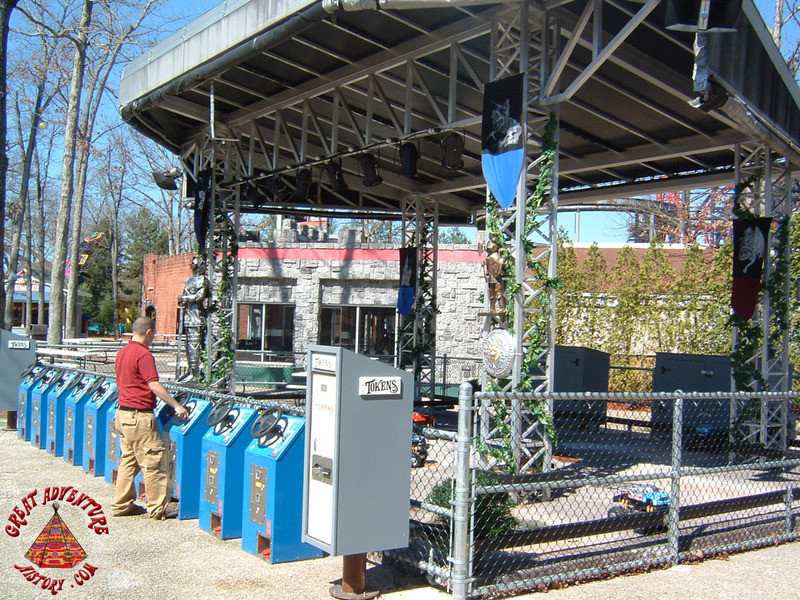 The present invention relates to a novel interactive virtual reality (VR) performance theater and environment in which a plurality of participants enjoy an entertainment and/or educational experience. 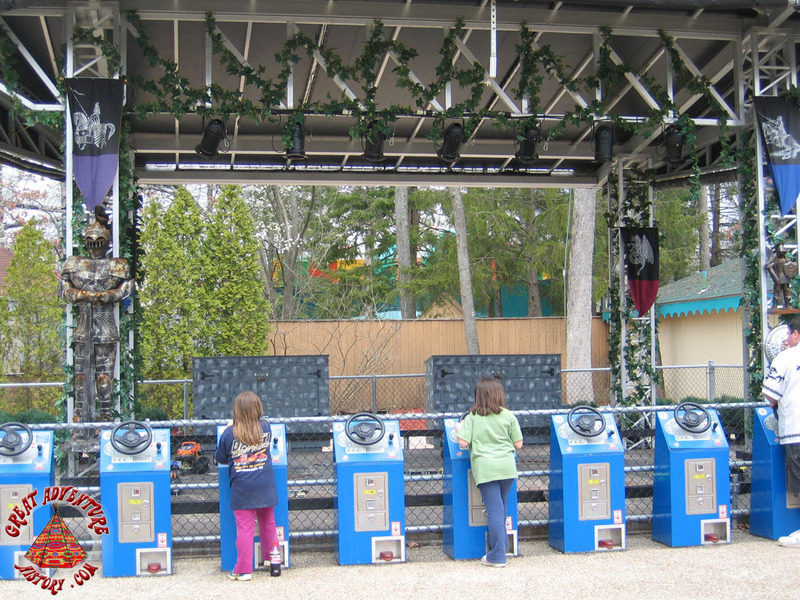 The performance is viewed by the participants through VR display devices such as a head mounted display, wherein both an immersive graphical environment and live and/or pre-recorded performers are viewed. 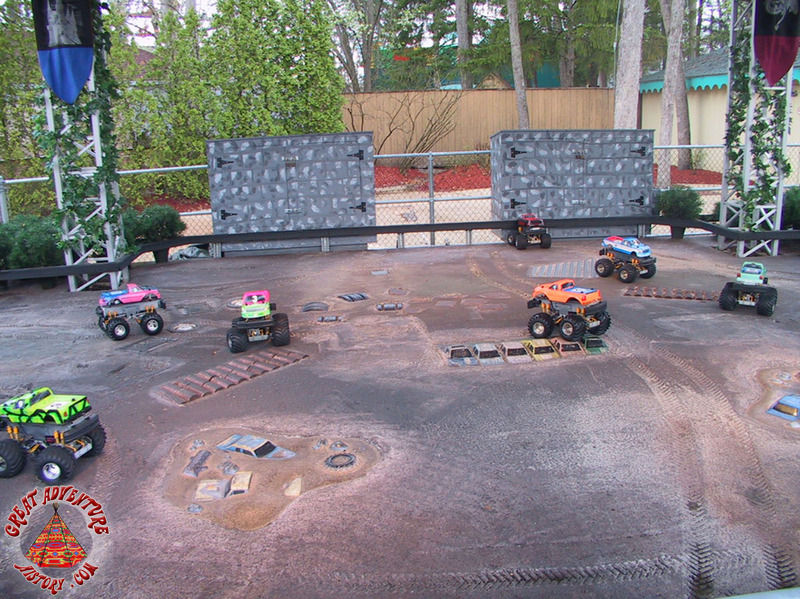 The participants exert limited control over the content and outcome of the performance through the use of input devices, such as hand held input devices having a plurality of buttons, and/or voice communications, while viewing the live or pre-recorded performers whom are mixed within the immersive VR environment. 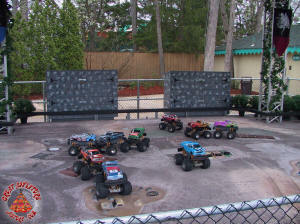 The system uses interconnected computers, video and audio processing devices, and furthermore includes a network interconnecting the computers, participants, and live/pre-recorded performers for video, audio, and graphics transmission. 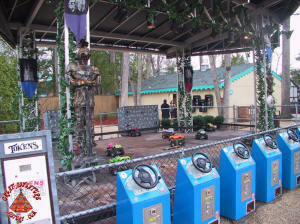 After a mediocre run, the audio and video components and seats of the Virtual Quest Interactive Theater were removed at the end of the 2004 season when its three-year contract expired. 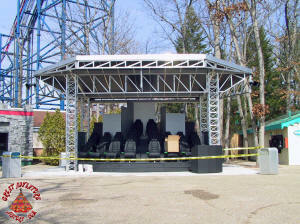 The steel canopy which made up the "theater" remained for four additional seasons after which it was also removed. 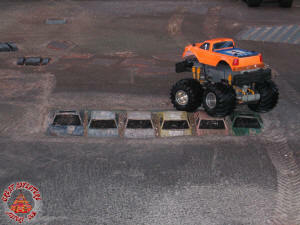 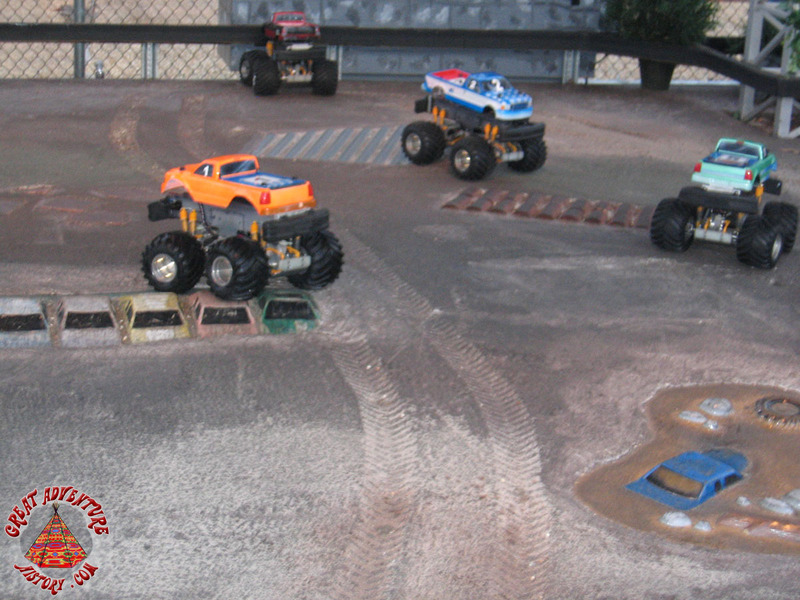 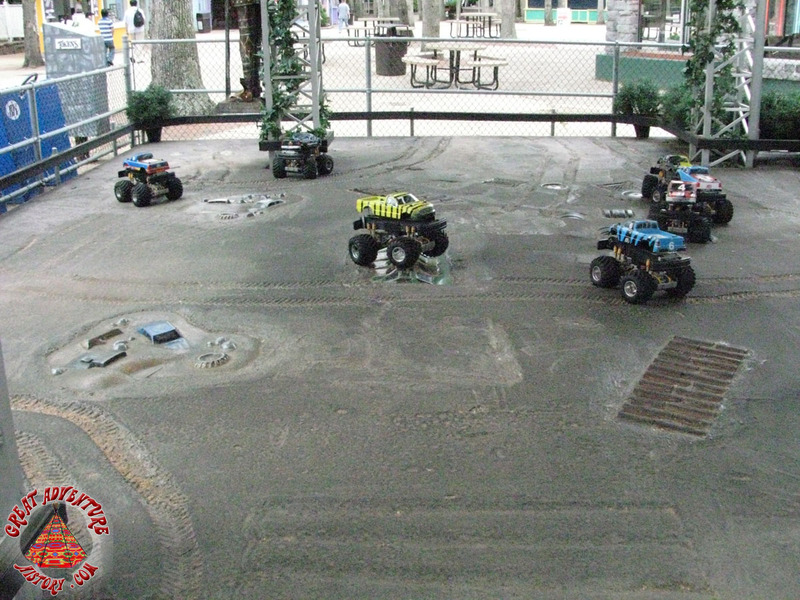 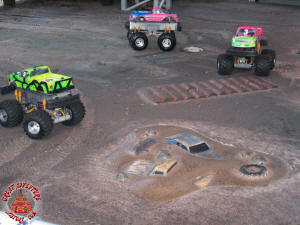 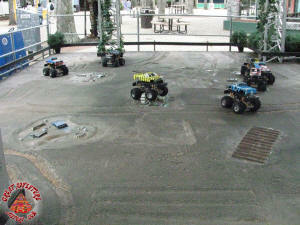 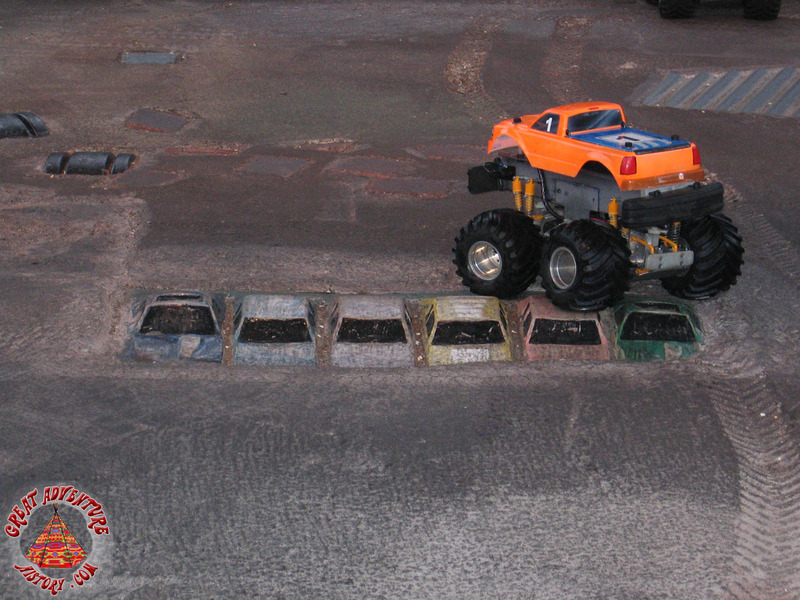 Following a brief transition period when temporary merchandise carts were positioned under the roof, remote control 4x4 trucks were installed in 2005. 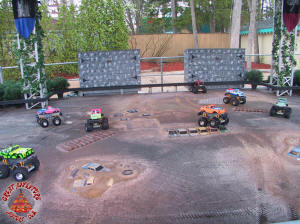 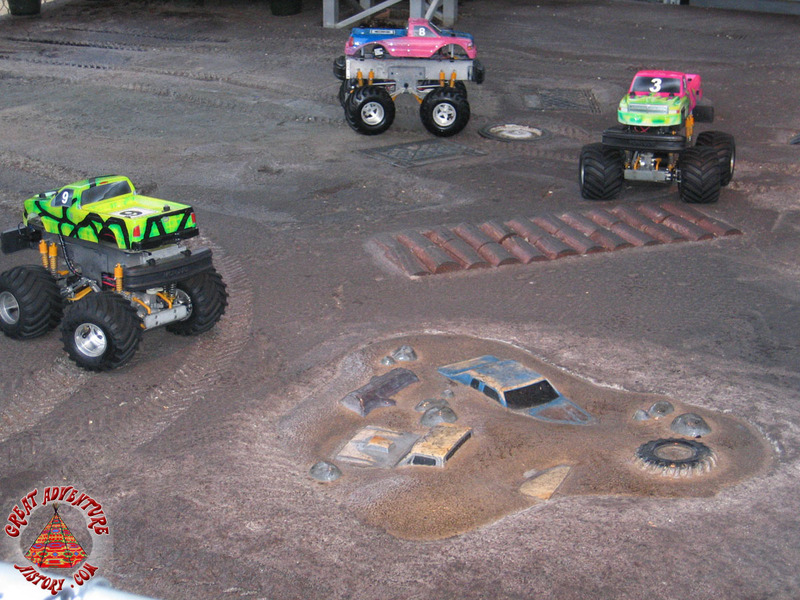 An all-terrain surface area complete with half buried junk cars and numerous other obstacles became a playground for the remote 4x4's making use of the concrete pad of the original theater. 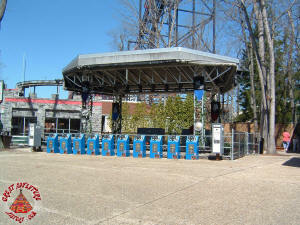 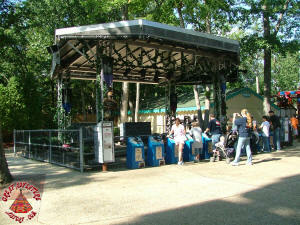 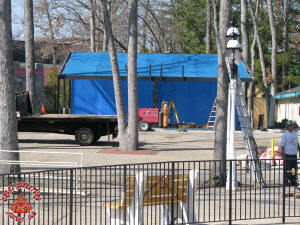 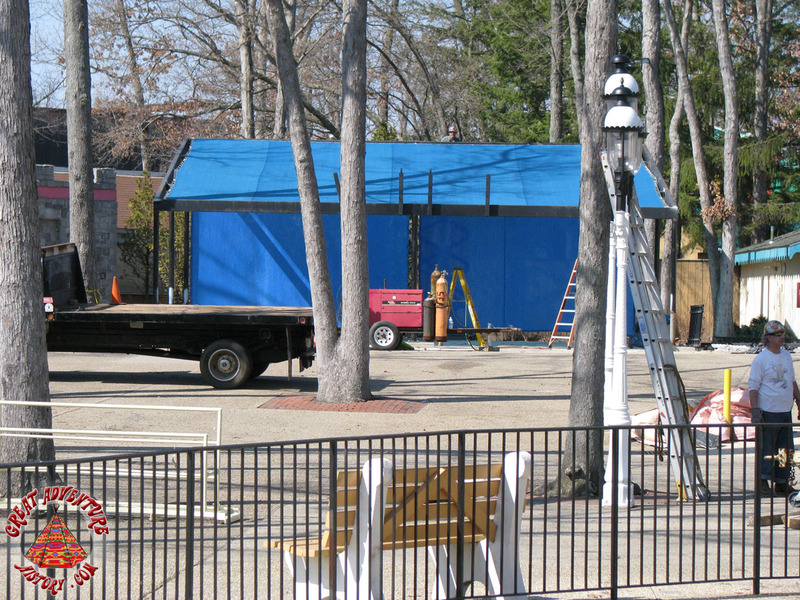 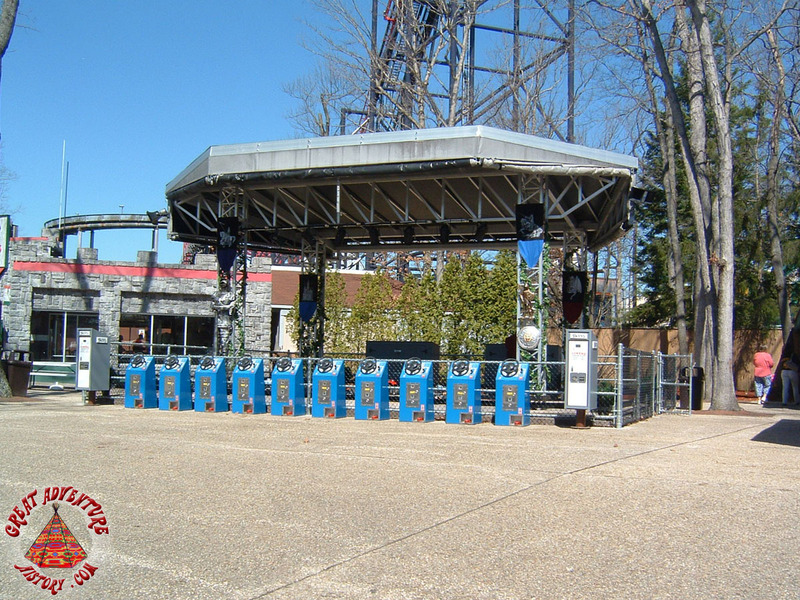 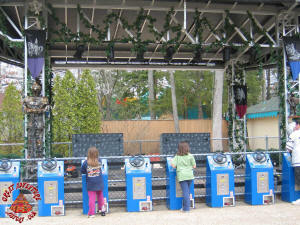 Prior to the start of the 2008 season, the entire theater structure and the remote control attraction were totally removed from the park. The Virtual Quest Interactive Theater structure was replaced by the Ladder Climb attraction which was once found outside of the Batman Stunt Theater in Movie Town. 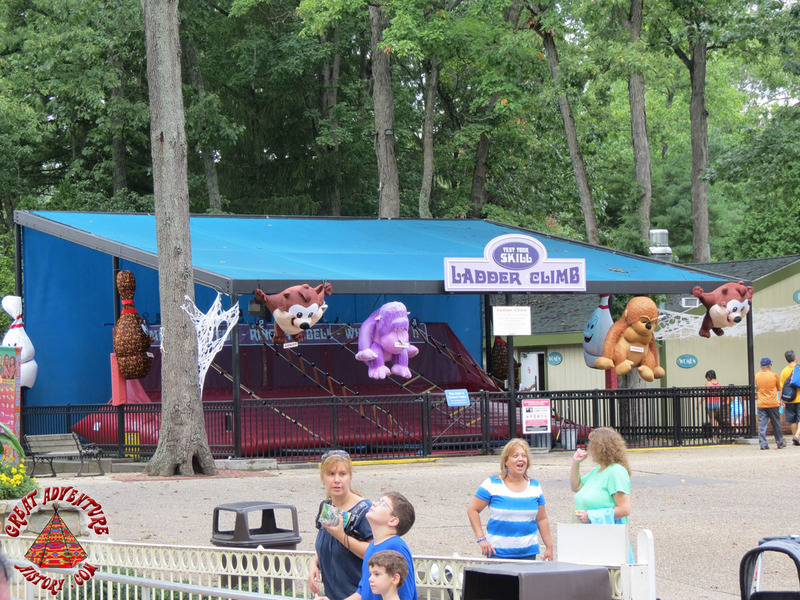 At its new location, the Ladder Climb found new success in this more heavily trafficked section of the park. 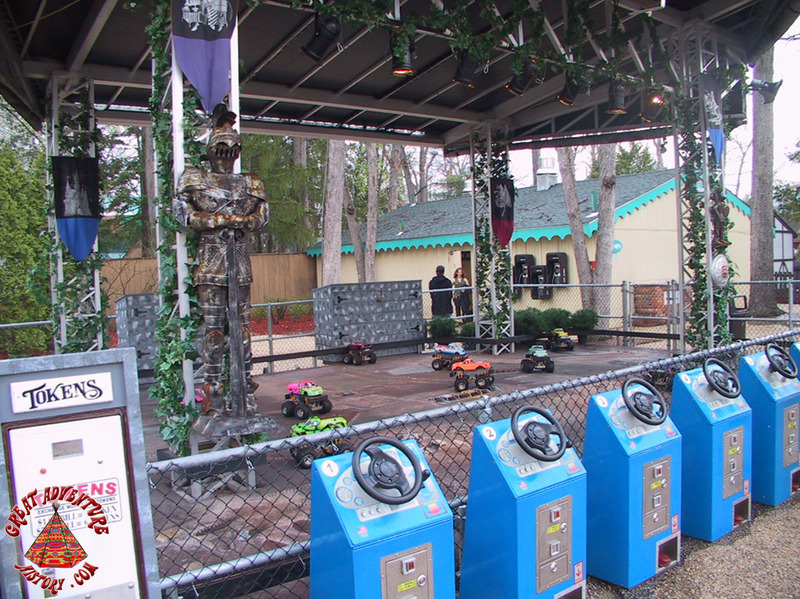 Through the years numerous VR attractions have been trialed at the park, most with limited success. With home gaming becoming more and more sophisticated, we will have to see what the park can offer in the future as the next best thing.